A magical store-management and crafting game. 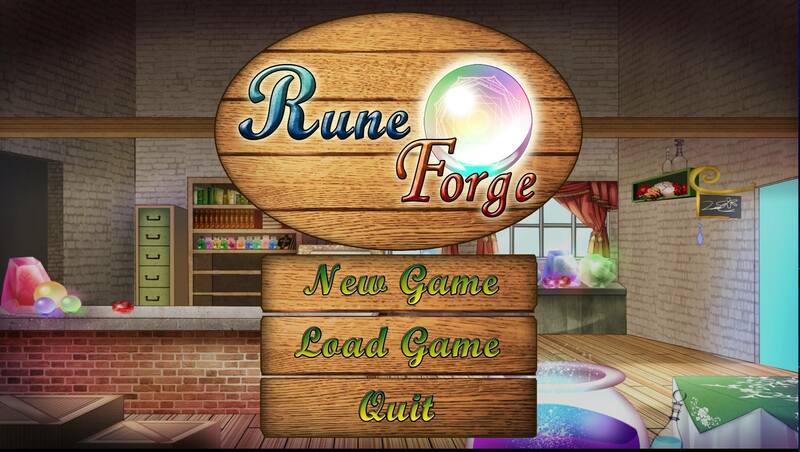 Rune Forge is a hybrid mix of minigames with the intense thrill of managing a store. Players are tasked with running a travelling magic shop and crafting runes, enchanted weapons, and other magical artifacts for the people of the villages and cities around the Kingdom. By crafting these magical artifacts through minigames, players can expand the capabilities of their workshop and go from startup apprentice to master craftsman. Along the way players will be able to meet with a wide variety of customers and helpers as they upgrade their house and improve their skills.